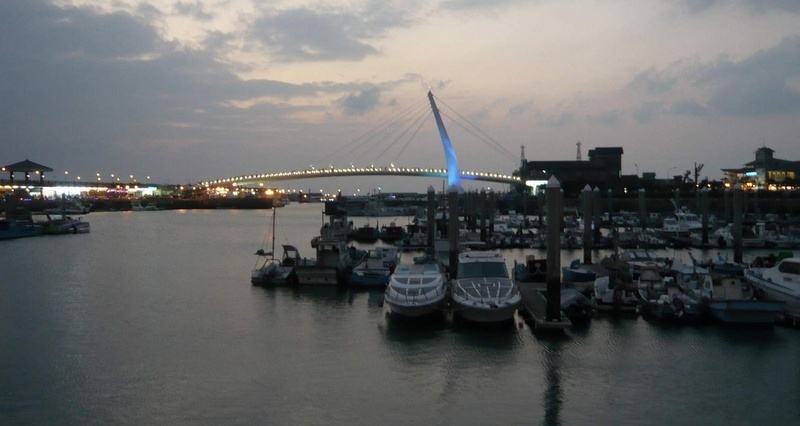 Mega Tamsui Photowalk: MRT to Fisherman's Wharf Updating – Look Through The Lens? Will you? Posted in a post in the FB group… stay tuned for more details! 3:30pm. 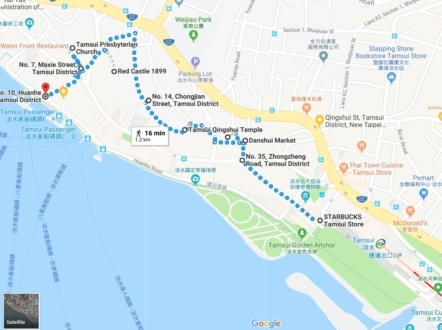 We’ll be setting off from outside the main Tamsui Starbucks Coffee Shop @ 3:45pm. If anyone wants to grab a milkshake earlier, please pm me! Kooks is nearby. Take the MRT to the last stop on the Tamsui Line. From Taipei Station, this is usually about 40 minutes or thereabouts. On the outward leg, we’ll avoid the Old Street & main street area as much as we can. 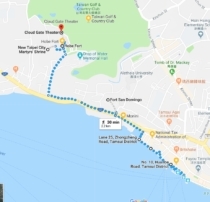 We’ll take in Qinshui Temple, Danshui Market, Fuyou Temple, back alleys (not marked), Red Castle 1899, the well-known Tamsui Presbyterian Church, the waterfront, old harbor warehouse area (if it’s open), Fort San Domingo, Martyr’s Shrine, Hobe Fort, and finally Cloud Gate Theater. The route is subject to change. The total length is about 3.5km according to Google’s pigeons but the add-on is further and may require a bus trip to complete quickly before sunset. There is an add-on to Fisherman’s Wharf for sunset, but at Photowalkers speeds, we may have to split the group or skip some sections if we dillydally. It’s planned to return to the main waterfront via 10-minute boat journey from Fisherman’s Wharf. Then walk along the old street back to the station. This is not a difficult walk, but precautions for rain, heat, & sun are suggested. Shoes need to be comfortable. There’s should be a convenience store stop for essentials (like water, sustenance, and – if necessary – some beer). The weather picture is uncertain right now, but will be updated. We’re now in well into Typhoon season, so any storm or heavy rain events means the walk will be postponed until the following week July 7th. Link to Google Map (separate window): Part 1, Part 2, etc. Tamsui, formerly the biggest port in Taiwan, was a major center for trading tea, gold, camphor, sugar, wood, coffee, and even opium. Unfortunately, in the later part of the 19th century, the river started silting up, which eventually restricted the size of trading ships from going upstream. While the harbor fell into disrepair, local fishing and tourists continued to sustain the town for a long time. Not coincidentally, the warehouses, piers and harbor facilities all are located nearby. If you check out the movie with Steve McQueen called “The SandPebbles”, you will see shots of the old Douglas warehouses, before they burned down. The next four locations offer a variety, so if we don’t have time you can choose your own locations. They’re all pretty close to each other. As you can see, the Red Hair Castle is quite an old building, but you will struggle to see any red hair anywhere. The weird Chinese name for Fort Anthonio (or Fort Santo Domingo) has much to do with the original Dutch settlers who built the first castle in early 17th century. Across South East Asia, the Dutch were referred to as ‘red haired’ because of the genetic trait that meant an awful lot of people in North Western Europe had … RED HAIR! Over the centuries, the castle has been built, repurposed, captured, destroyed, burned down, abandoned, and turned into a museum. In the 19th and 20th Century, it served as the British Consulate after being captured by the British in the Second Opium War. From 1895 it often changed hands, before falling into disrepair in the 1970’s. Saved by the local government, the castle is regularly invaded by hordes of tourists with selfie sticks. As you enter the consulate building, you might see the letters “VR 1891” inscribed on the pillars, for Queen Victoria. After restoration, the consulate now looks similar to what you might have seen, if you’d visited in 1891. After the victory, a large fort was constructed to protect the mouth of the river from invaders and attacks. 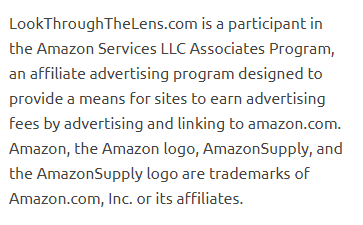 It was part of a national defence initiative across the islands. The first governor of the islands, Liu Ming-Chuan, ordered its construction under German oversight. It was equipped with cannons from Britain and Germany, the placements of which are still visible. You’ll also find tunnels, old mess quarters, and lots of nooks to explore in the fort. Suggestions for finding opportunities for photographs: don’t be afraid to get lost, don’t worry about catching up with the group, you have the route. Some may feel that a trip to Fisherman’s Wharf is essential, we’ll probably all end up there at around 6pm. I suggest that we take a taxi there from CloudGate. It’s nearly 3km walk, light will be fading, too. You don’t have to follow the group, in fact members may disperse by themselves. It’s a photowalk, not a parade.